WINSTON-SALEM, N.C. - Jo-Wilfried Tsonga, David Goffin and Sam Querrey have committed to play in the 2015 Winston-Salem Open, which will be held August 22-29 at the Wake Forest Tennis Complex adjacent to BB&T Field. Tsonga, Goffin and Querrey are the first players to join what is expected to be another strong field at Winston-Salem’s ATP World Tour 250 event. Both Tsonga and Goffin will be ranked in the ATP top 15 when new rankings are released June 8. Box seats for the Winston-Salem Open are $650 each for rows 1-2 and $600 each for rows 3-4. Individual tickets will be available beginning June 8 online at winstonsalemopen.com, by calling (336) 758-6409 or in person at the Wake Forest ticket office located at Bridger Field House at BB&T Field. There will be no additional fees to the ticket price and parking will be free again this year. 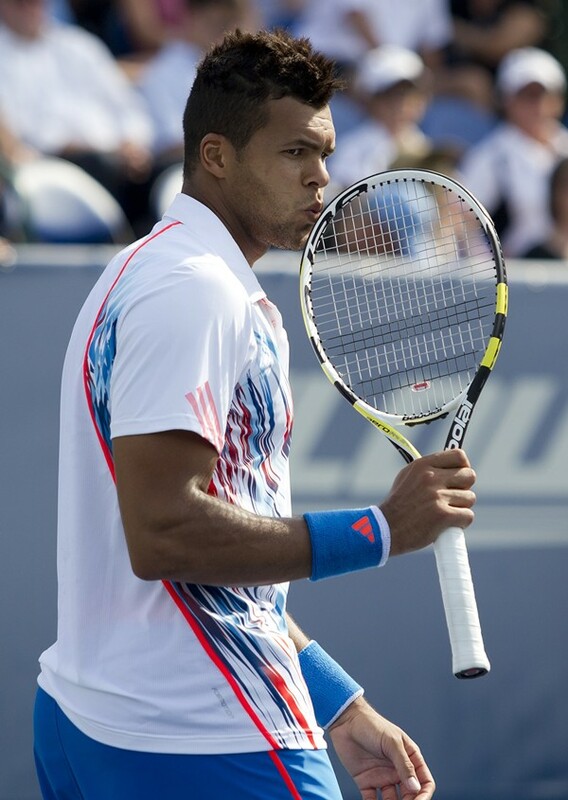 Tsonga is one of the most-entertaining players on the ATP World Tour and is a huge fan favorite. The 30-year-old Frenchman has been ranked as high as No. 5 in early 2012, and is No. 15 after missing much of the early part of 2015 with injuries. He owns 11 ATP World Tour singles titles, the most recent being the Masters 1000 in Canada last summer. He burst onto the scene in 2007 as the tour’s Newcomer of the Year and in 2008 reached the Australian Open final. Tsonga has been to Winston-Salem twice before. He was a member of the French Davis Cup team that lost to the US in 2008, although he could not play because of injury. He reached the semifinals of the 2012 Winston-Salem Open, losing to eventual champion John Isner in a dramatic third-set tiebreak. Goffin has enjoyed a meteoric rise up the ATP World Tour rankings over the last nine months and is currently ranked a career-best No. 15. The 24-year-old from Belgium enjoyed an incredible string of success last year before and during the Winston-Salem Open, running a personal winning streak to 25 straight matches before losing to eventual finalist Jerzy Janowicz in the quarterfinals. He had won his first ATP World Tour 250 event at Kitzbuhel and had won two Challenger events before coming to Winston-Salem as a qualifier. Goffin has since added another 250 title at Metz this year and also reached the final at Basel before losing to Roger Federer. This will be Goffin's fourth visit to Winston-Salem. He reached the round of 32 in 2013 and the quarterfinals in 2012. Querrey has reached the semifinals of the Winston-Salem Open in each of the last three years and always is in top form during the summer hard court season. The 6 feet, 6 inch Californian has been ranked as high as No. 17 in the winter of 2011 and has had a reign as the top-ranking American player. Querrey is currently ranked No. 38. The 27-year-old owns seven career ATP World Tour singles titles, including three titles in Los Angeles before the tournament moved. He has also had six runner-up finishes, including at Houston earlier this year. Now in its 12th season, the Emirates Airline US Open Series continues to serve as a true regular season of hard court tennis, linking eight summer tournaments to the US Open. In 2014, Serena Williams won the US Open and Emirates Airline US Open Series women’s title for the second consecutive year, earning a record tennis paycheck of $4 million. Rafael Nadal (2013), Roger Federer (2007) and Kim Clijsters (2005) also accomplished the feat of winning the Emirates Airline US Open Series and US Open singles title within the same year.